Do you like reviews that tear down movies in a nasty way? Then this is for you! And if you don’t like those reviews, don’t read it. We were talking in the comments about all the things Raju Hirani puts into his films, especially the triumphal sunny moment as the camera slowly pulls back to reveal the characters below. This whole film feels like those moments. A bunch of filmic tricks in order to force us to feel something, but there isn’t actually anything at the center of it for us to feel. 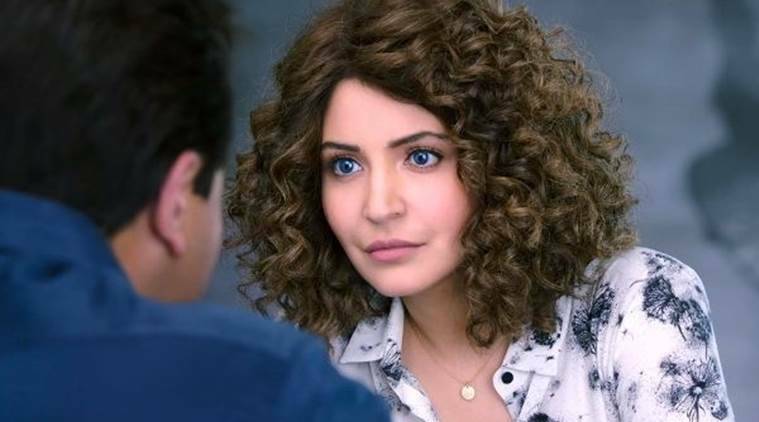 I could pick apart the little things, the way they gave Ranbir a series of wigs but didn’t bother to cover up his distinctive scar under the eye which just screamed “Ranbir!” to me, the way Namrata mysteriously disappeared partway through, the completely illogical styling of Anushka’s character, the random decision to make Vicky Kaushal’s character American, Jim Sarbh’s lisp for no reason, all kinds of things. But what it all adds up to is a movie that was afraid of emotional truth. That’s the problem with a biopic, it can avoid that kind of truth if it wants to. Because the audience will forgive it in a biopic where they won’t in any other movie. If this movie had been named, I don’t know, “Sameer”, the critics and audiences would be tearing it apart as viciously as they did Bombay Velvet. But because it is called “Sanju”, all is forgiven. If you say “I didn’t feel anything watching this movie”, you are told “no no, it’s a True Story”. To not feel something for a True Story, for Real Suffering, means you are a sociopath, you don’t care about the world, you are just too stupid to understand that all of this Really Happened. Well, lots of things in the world Really Happened. And lots of things didn’t. And I felt more watching Munna Bhai MBBS, a movie that didn’t happen starring the Real People this film was about, than I felt watching this film. That’s what a movie is supposed to do, make me care, make me feel something, not because it Really Happened, but because the film is convincing me it really happened, convincing me to care. In this film, they were afraid of that emotional honesty. They substitute for honesty perfect imitations of familiar people, or moments of wacky comedy, or flashbacks to underline a moment and take us out of it, and the constant overbearing ridiculous score. There was never a time when they just let a moment land. Never a moment when they asked the actors, or the audience, to sit for a second with these emotions instead of watching them flicker past like an instructional video. 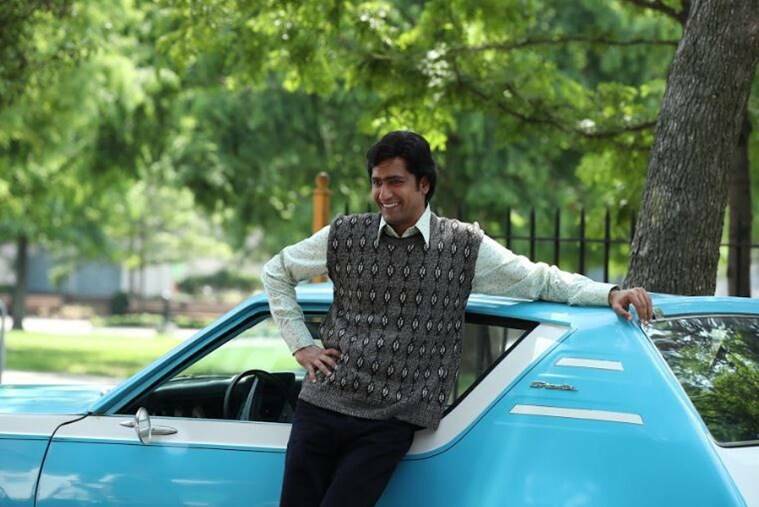 Strangely, the part that felt most “real” to me, was the present day with Ranbir as Sanjay and Dia as Manyaata. Perhaps because that was the one time period that the filmmakers couldn’t completely fake, the audience would know the truth and they knew the truth themselves. I cared about those people, present day Sanjay and his wife and his children, that was serious and bittersweet and a little bit funny in just the right way. But once the film goes into the past, once the overwhelming weight of the Dutt legend hits it, it just can’t find the truth any more. No, that’s not right, it’s not the Dutt legend. Because the Dutt legend comes with a powerful meaning to it, and this film was afraid of that meaning. Afraid of looking at why Sunil Dutt was such a respected man, what he meant for the country. Afraid of giving Nargis her true power, making her a powerful force for social good. Afraid of looking at the reality of the riots that sent Sanjay to jail. Afraid of looking at the reality of what Sanjay’s bad behavior did to those around him. That’s the legend, the “real” legend, the strong self-sacrificing woman and the noble upstanding man destroyed by their tragically broken son. And so instead this film gives us the legend with all the power stripped out and no truth added. We are told that Sunil is a Great Man, but not shown it, not allowed to understand what he was doing for the country. Nargis is minimized to a movie star and a mother and nothing more. And all of the things Sanjay did wrong were just funny, foolish, boyish. I don’t mind stripping the legend of its power, so long as you replace it with truth. If you want to focus on Sunil as a father above all else, fine, but make that feel emotionally true. Show us his struggle to get past his own grief and support his son. Show us his anger, letting go and being furious. Show us him feeling SOMETHING, ANYTHING. If you want us to forgive and understand Sanjay, then don’t dance around the tragedies of his life. Don’t turn him into a cheerful tapori-speaking clown instead of a man who had loss after loss in his personal life and kept going. The fake characters in this film end up being more “real” than the real ones. There’s a reason Vicky Kaushal’s performance is already being called out, he was the only actor in this film to provide real heartbreak, real drama. And Jim Sarbh, he was the only one to give any kind of darkness to it. But Priya Dutt, she just sits silently in the background, hardly acknowledged. The girlfriends and wives, of course, don’t exist at all. And Sanjay himself doesn’t exist, not really, not the man of tragedy, not the loving father, not the loving son, not the dedicated actor, and not the generous man of the people. Not even the addict, not really, it’s a film version of addiction, full of twitches and triumphal moments, and manic overacted moments. Sunil Dutt doesn’t exist most of all. It’s Pawesh Rawal in a bad wig spouting philosophy made up by Rajkumar Hirani, because it wouldn’t be a Hirani film without a simplistic life lesson to solve all your problems, “Jaddoo Ki Jhappa”, “Ghandigiri”, “Aal Izz Well”, “Wrong Number”, and now “Question Mark”. But the audience applauded in my theater when the film was over. Because they felt good, they felt wise and good and knowledgeable, they had seen Truth onscreen. And because it made them feel good, this will be the version of Sanjay Dutt’s life that lives on from now on. And slowly the old legend, and the reality of it, will drift away and be forgotten. And all that will remain is these in this film, people going through the motions of a life instead of a life as it was actually lived. Anushka asks Vicky to tell her more. He flashes back to the early 90s, Ranbir was off drugs but addicted to exercise, and Vicky was successful now in computers and flying back and forth to India to see his girlfriend Karishma Tanna. Ranbir tried to help Vicky seduce her, but then Vicky ended up drinking too much and falling asleep, so Ranbir slept with her instead and the next morning tried to convince Vicky that he had saved him from an unfaithful woman. Vicky was angry with him, but all the anger was forgotten when he was arrested. Ranbir explains that during the riots they got threatening phone calls accusing his father of being “pro-Muslim” and when he went to see his father, the police in charge of his safety were silly and didn’t even know how to use guns. In fear, he turned to some producers he had who offered him 3 assault rifles for the protection of his family. But he changed his mind and gave all but one gun back, and then even that one, he asked a friend to cut down and hide the pieces. Vicky and his family stand by him as he is in jail, and then he finally gets bail and returns home. Vicky is ready to stay in India until his name is cleared, but then sees a headline about the RDX trucks and goes to ask Ranbir about it in the preview theater where he is meeting with his father, and walks in just in time to hear Paresh say “say you knew about the bombs” and then Paresh asks him to leave. Vicky is sure that Ranbir is guilty and gives an excuse about it damaging his business to stay in India and leaves. Anushka turns down the book and refuses to meet with Ranbir again. Ranbir goes to jail. A year later, Manyaata/Dia meets with Anushka again when she is in India for a book launch and gives her a recording of one of Ranbir’s jail radio shows that they had to smuggle out. In it Ranbir, talks about the dangers of the press and the “question mark” which allows them to write any headline they want. He describes the years after getting out on bail, when the press was constantly after him. Paresh stood up for him and tried to help, first inspiring him to start turning down jobs entertaining gangsters, even if they threatened him. Ranbir goes to a Hindu gangster and explains that he can’t perform for him because if he does it will shame his father, and if the gangster kills him it won’t shame his father and that is worth it. Weeks later, the gangster tracks him down and gives him a puja tray, impressed by his bravery. Paresh also wants him to get serious about work, and so takes a job in Munna Bhai MBBS and forces him to learn his lines and get to work on time and so on. After Munna Bhai, Ranbir is famous and beloved again. But the case still hangs over him, he is supposed to give a speech introducing his father at a humanitarian award event and is told he cannot because of the bad publicity. The next day, Paresh dies. Ranbir is heart broken, especially because even after the court clears his name, the reporters still say he was convicted of terrorism, NOT a weapons charge, the truth doesn’t matter. Anushka listens to it and is open to learning more, goes to see Ranbir in prison. He tells her to tune in to his prison radio show from outside the walls with Vicky and he will tell the truth. On June 6th, his father’s birthday, Vicky won’t refuse. Vicky comes and he and Anushka listen as Ranbir explains that the RDX truck was just a rumor, and after it came out, Paresh asked him to meet with a lawyer who suggested Ranbir just lie and say he was involved and give false evidence against other people in order to get his charges reduced. He can leave the country after that, start life new. Ranbir angrily refuses, he won’t lie and he won’t shame his father that way, and he throws the lawyer out. But Vicky only heard part of the conversation and never even noticed the question mark at the end of the headline. Vicky is heartbroken and regretful. Finally, Ranbir is released from jail. He kisses Dia, and then looks behind her at all the reporters and everyone and sees Vicky, in the same bright red coat Ranbir bought him the first night they met, all is forgiven. And then he gets in the car to see Anushka who hands him a copy of her book on his life, titled for the Anand Bakshi song his father was going to recommend to him before he died, “Let the people talk”. Ranbir goes home to be with his family and Vicky. And then, end credits surprise song, the real Sanjay Dutt dancing with Ranbir Kapoor out of make-up to a song about how the press makes everything up. Before getting into the plot details, I want to deal with this film as a film. It is not good. Vicky Kaushal and Dia Mirza (of all people) stand out as the only characters that feel “real”, subtle and human and emotional. Everyone else seems to have mistaken playing dress up for acting. The songs are forgettable, like I literally cannot remember a single one, either the visuals or the sound. Except the end credits song, that one is good. The tone shifts crazily scene by scene, as though it is 3 different movies, one a black comedy, one a human tragedy, and one a realistic recreation of a true story, that have been wildly cut together. The visuals are very dull, and also kind of cheap looking. Never that many people together in a shot, never a beautiful set, everything kind of thrown together feeling. Ranbir, whose performance is supposed to be the greatest ever, is terrible. He relies on mannerisms and make-up instead of emotion. I found myself constantly bored with him onscreen, never able to forget it was Ranbir I was watching rather than a character. Paresh isn’t much better, again it is simply a series of mannerisms layered on top of the same old Paresh. Dia is the only on playing a real person who actually felt like a real person. Maybe because Manyaata is so little known (comparatively) so her performance didn’t have to focus on hitting a series of familiar tics, but could just be itself. As I said in my No Spoilers review, if this film wasn’t based on a true story, with the gloss that gives it, I think it would be a flop critically and commercially. And of course, it’s not actually “true”, not the version we are given here. I could go through point by point and look at all the inaccuracies, but if you want that, just read my Sanjay Dutt series to get the true story of his life. Instead, I want to look at the broad sweep of the story this film is trying to tell. A story which doesn’t just whitewash Sanjay, but whitewashes India. Just one small example, Sanjay got on drugs completely unrelated to the film world. He got them through college, Elphinstone College, one of the best in the country. What does this say about India? College students, the best and the brightest, the thing every parent wants their child to be, can get on drugs, can sell and spread drugs to others. There is no “good” India and “bad” India, drugs are everywhere. And that’s not something people are going to be very comfortable hearing. Something else that the audience isn’t going to be comfortable with. Sanjay didn’t get the guns because, ha-ha, the police officers guarding his father seemed a little foolish and didn’t know how to use their guns. The Bombay police was complicit in the riots and Sanjay had good reason to think anyone guarding his father might in fact be the ones trying to kill him. More importantly, the Riots weren’t a matter of a few burned buildings (what this film reduces them too, saying Tiger Menon set up the blasts because his office burned down), they were a matter of hundreds and hundreds of people dead in the streets. Oh, and Sanjay didn’t just have 3 guns, he also had grenades. And I can forgive him that, because I can understand how and why he was so scared. But this film doesn’t want us to fully grasp what he was afraid of, and so it also can’t let us fully grasp what he did. For the bombings, we get a shocking recreation complete with explicit photos of dead bodies. For the riots, in which 700 more people died than in the bombings, we get some people standing around watching a fire. But that’s not a story the Indian film audience wants to confront, 900 dead in the street, while the State and the public looked the other way. So the film neatly erases it, no one died in the riots, nothing really bad happened, everything is happy and funny and simple, nothing to see here, nothing to feel guilty for. And then there are the real people who were removed. I understand the need not to say “Tina Munim” (Mukesh Ambani was thanked in the opening credits, by the way. And Raj Thakeray), or “Madhuri Dixit”, or “Rhea Pillai”, or “Kumar Gaurav” or “Richa Sharma” or even “Trishala”. But the characters brought in to replace them reveal the filmmakers prejudices. Tina was Sanjay’s first love, and she left him because she couldn’t take watching him kill himself with drugs. Madhuri Dixit and Richa Sharma, he loved them too and they loved him. Kumar Gaurav was his best friend who stood by him through everything no matter what. Tina is turned into “Ruby” (played by Sonam), a Parsi naval officer’s daughter who is innocent and sweet and sheltered. Madhuri and Richa don’t exist at all, not even a mention. And of course Trishala doesn’t either. Kumar and Madhuri and Rhea and Richa, they are all turned into Vicky Kaushal. The one person who stood by Sanjay through it all, who eventually got his heart broken by him. Why is this? What does this do? Well, it does two things. First, it makes Sanjay look a lot better. He is just a silly little boy in the 1990s, not a married man with a dying wife and a daughter in New York, and a serious girlfriend in Bombay. This film doesn’t want to deal with that version of Sanjay, the messy one that could be both childish and adult at the same time, like real people can be. And second, it turns the story so that everyone involved is “just like us”, “normal” people, not film people. Kumar Gaurav, like Sanjay, was raised in the film industry. Like Sanjay, he had a powerful respected father (not as respected as Sunil, but still respected). Like Sanjay, he got a film launch at a young age. But unlike Sanjay, he never turned to drugs, never went “bad”. He stayed steady and reliable and responsible and a good friend to Sanjay through it all. Tina Munim, she was a little older than Sanjay and an actress for several years already. But she also loved him, sincerely, and believed him and was heartbroken as she saw the drugs destroy him. You can be a film actress with some experiences behind you, and also be a young woman in love. Rhea Pillai, divorced and a model, she stood by Sanjay too, through it all. And Richa, another actress but also an innocent who believed in him. But not according to this film. According to this film, the only women who can be in love are sheltered girls from “normal” families. The only decent loyal friends, are hardworking NRIs. Hardworking male NRIs, Rhea couldn’t have stood by Sanjay through jail, women aren’t capable of that, especially not “bad” women. And besides, Sanjay couldn’t possibly have had a real relationship during the 90s, because he was a movie star, and movie stars can’t have real relationships. Heck, people can’t have real relationships! Not more than once. Sanjay couldn’t be in love, certainly couldn’t be married, before Dia/Manyata, because everyone knows you only marry once and it is always happy. No, Sanjay just slept with a bunch of women and then got married, that’s the story. There’s women you sleep with, and women you marry, and they never overlap. The whitewashing of Sanjay is obvious, the turning the whole thing into another tired story of a son who can’t live up to his father and that’s why he keeps messing up. Removing the most difficult parts of Sanjay’s story, everything from Nargis’ heartbreak as she knows her son is on drugs (too sad and too real for this film, they just stick her in a coma instead), to his first marriage and his oldest child. But what really bothers me and distresses me is the whitewashing of India. All “normal” Indians are good people, even the gangsters (at least, the Hindu gangsters) are good, it is the film people, the drug dealers, this group of “others” that are bad. Booo, to the others! BOOO! That is what this film is telling us. And if you believe this movie rather than investigating and finding out the truth, well, that is okay too. The message of the film, officially in the end credits, is that the press distorts everything for their own ends. Fine, only that doesn’t really tell us what to do besides patting ourselves on the shoulder because we aren’t press. The message should be “don’t be stupid, use your brain and make up your own mind instead of just believing what you are told”. But that can’t be the message, because then they run the risk of people actually investigating further than this film and learning how very very false it is. And so instead we have Anushka, established as a famous international non-fiction author. Which is the first Big Lie, there aren’t famous international non-fiction authors! That’s a thing only believed by people who don’t read non-fiction books, and it tells me right away who is the presumed audience for this film, people who have no concept of how to actually research facts and have never read a book. And Anushka, our audience stand in who is supposed to be all wise and all powerful, is the most gullible person in the world. She is approached by a random man in the park who claims to know Ranbir’s secrets, and rather than investigating who this man is and coming to her meeting with Ranbir with background material, she just blindly believes what she is told. Vicky tells her a story and shows her a newspaper clipping, and she immediately stops thinking for herself and believes what he tells her. More than that, she seemingly had never even heard of the RDX story until he told her, apparently never done any research at all on this subject she claims to be doing a book on. In this film, “research” means believing whatever was said by the last person you talked to. That is the standard it sets, just believe what we tell you because we are telling it to you, don’t go off and try to find out anything for yourself, you already know everything you need right here. And so this film will get rave reviews, from the critics and the public. We are told that Ranbir’s performance is brilliant, and so we will believe it is brilliant. We are told this is a tragic real story, and so we will believe it is tragic and real. No one will critique it, no one will go against the crowd, because that would mean thinking for yourself, the one thing this film doesn’t want you to do. Just close your eyes, close your ears, close your brain, and relax and believe. There was only one way to enjoy the movie: Watching it with the constant thought in mind that it is a fictional film about a man called Sanju…an exercise in deliberate schizophrenia. Looking at this movie as a portrait of Sanjay Dutt makes me almost despise it. You know, I think I would even dislike it if I watched it as total fiction. It was just mushy feeling, I never really got what the point was supposed to be of what I was watching. Hirani has officially been named by his assistant in Sanju for sexually assaulting her. Huffington Post has the story. Variety has picked it up too. The Chopras are distancing themselves. Hirani denies the allegations. These metoo rumors are regularly turning out to be true. I think the one that will go down next is Akshay Kumar. Apart from countless rumors about a payoff to a victim, there are tweets from Aditi Rao Hydari and some journalists pointing towards him and accusing Twinkle for helping to cover it up. Good day for me to repost a bad review of one of his movies! Sometimes timing works out just right. Yeah, I saw the Huffington Post article, looks conclusive. Some interesting ways it reminds me of the Phantom issues, including the lack of clear administrative structure to help protect the workers. I reread your Sanju review and seeing the erasure of women and the contempt for “bad” women and the idealization of “good” women adds a nasty subtext to the accusation. Re: lack of administrative structure, apparently the company was in violation of the law because a company of that size is supposed to have procedures in place to investigate complaints. I read that part carefully, and it was confusing, because the VVC company is in violation, but the RH company is where she was technically employed and may not have been. Which is the problem, this little sub-sub-sub-studios are legally independent but really all connected. I haven’t been following the Hollywood stories as closely, but I suspect a similar problem, with the way studios tend to contract with little random independent production houses that can be legally cut loose as needed. I just hate this movie so much. I can’t even necessarily blame RH for it, I think it was just a terrible movie on every level and constantly used the very first laziest thought instead of trying harder, including trying to give some definition to the female characters. And encouraged the audience to be lazy about it too. I’m so glad you wrote this review. The film indeed felt like a fluff piece, flossing over key characters, motivations and occurrences. It boiled down to basically showing Sanjay as a victim of circumstances. Tough father, dying mother. It stripped away all of his responsive for his actions. Every female character was minimized (or forgotten/not mentioned), I found that particularly pathetic. His mother was a legend but we see her only in weepy situations to show us sanjays grief and hardship. Even his wife was mostly wallpaper with moments of realness. Ranbir was fine. I think he did the best he could. How could anyone really not look like they’re playing dress up when the film is about a contemporary still living person? I dunno. His performance bothered me less than the propaganda and whitewashing of his character and story. It’s so clear Hirani is a biased friend, he seems least qualified to tell this story. Don’t get me wrong, it is a good story in real life! Just not this. I also think it’s lame anupama Chopra kept declaring no one at her entire company would review this film. Please!! It’s kind of strange this is getting award season buzz as the movie of the year. I guess the propaganda and trickery worked. The end credits song was also so tonally strange!!!!! Like we are supposed to go out with a smile and a laugh after watching a story which was, ultimately, very tragic. Although, that was another problem with the whole film. They kept playing for comedy moments that were truly terrible. Not just what Sanjay did, but everything that happened to India during those years. Drug addiction is funny, riots are funny, police incompetence and culpability is funny, charity is funny, and on and on. Completely agree with everything in this review. This was the first movie in a very very long time that I could not finish watching. I stopped watching about a third of the way through. I could not deal with the whitewashing, portrayal of female characters, the over-the-top acting… UGH! This has my vote for the worst movie of 2018. So glad it is not just me!!!! It did so well in the box office and generally well with critics, I felt like a bit of a voice in the wilderness and started to wonder if it was me who had the problem, not the film. Looks like it was just release date mob mentality, one of those movies everyone loves when it first comes out and then opinion shifts within months. Not like individual opinion, but mob opinion “everyone” is saying how much they love it, and then suddenly “everyone” is saying how much they hate it.